Created by a renowned floral Japanese artist Makoto Azuma, Belle Epoque Florale Edition is a reverential homage to Emile Galle’s famous Art Nouveau design. This was originally inspired by Japanese art culture, and has become the iconic image of Perrier-Jouët artistic heritage through its prestige cuvee. Challenging the aesthetic boundaries, Makoto Azuma created a unique combined artwork, made of a single delicate botanical arabesque dotted with white Japanese anemones. These recall the original 1902 design, which is further reinforced with a handcrafted motif of golden flowers on the bottle of Belle Epoque 2004, carefully selected by Cellar Master Hervé Deschamps. The artist explains: “‘I wanted to make something extraordinary, taking inspiration from the sensation of champagne inside the mouth, and the delicate movement of the ivy and leaves with a special attention and tribute given to Emile Gallé’s anemones”. 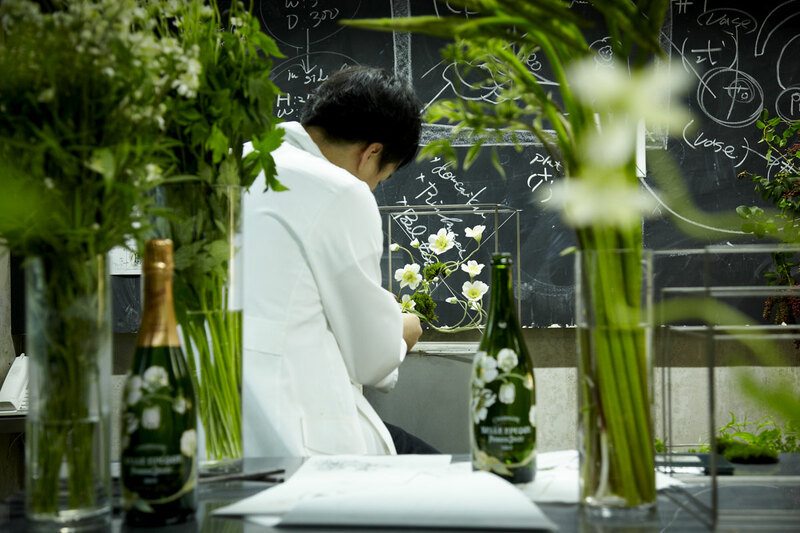 Commissioning Japanese artist Makoto Azuma came as a natural choice for Perrier-Jouët; Emile Gallé chose white Japanese anemones for its original design in 1902 because of his passion for botany but also his admiration for Japanese art that draws inspiration from the primal force of nature, the true spirit of the Art Nouveau movement. 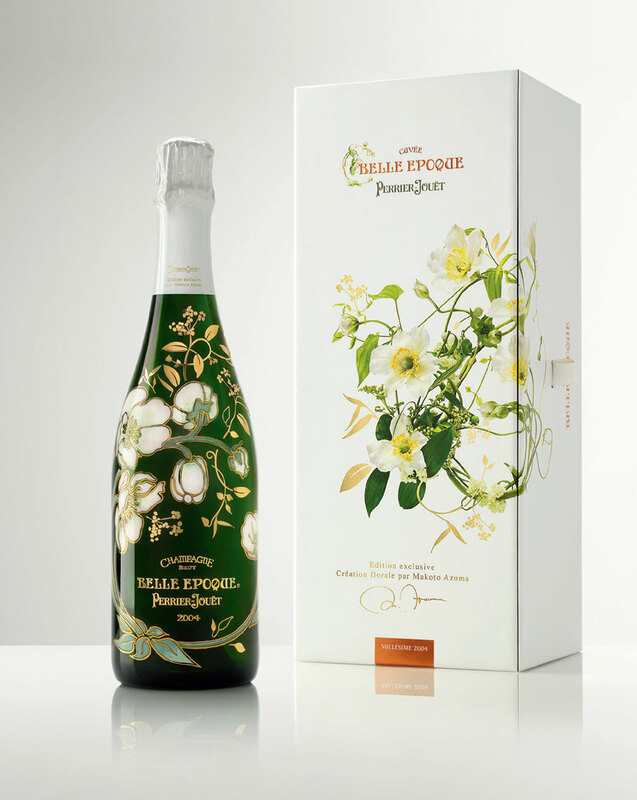 From the specific choice of flowers, to the endless series of adjustments and motif on the bottle itself, Belle Epoque Florale Edition perfectly expresses the luxurious and craftsmanship cues of PerrierJouët, whilst delivering a contemporary vision of beauty. 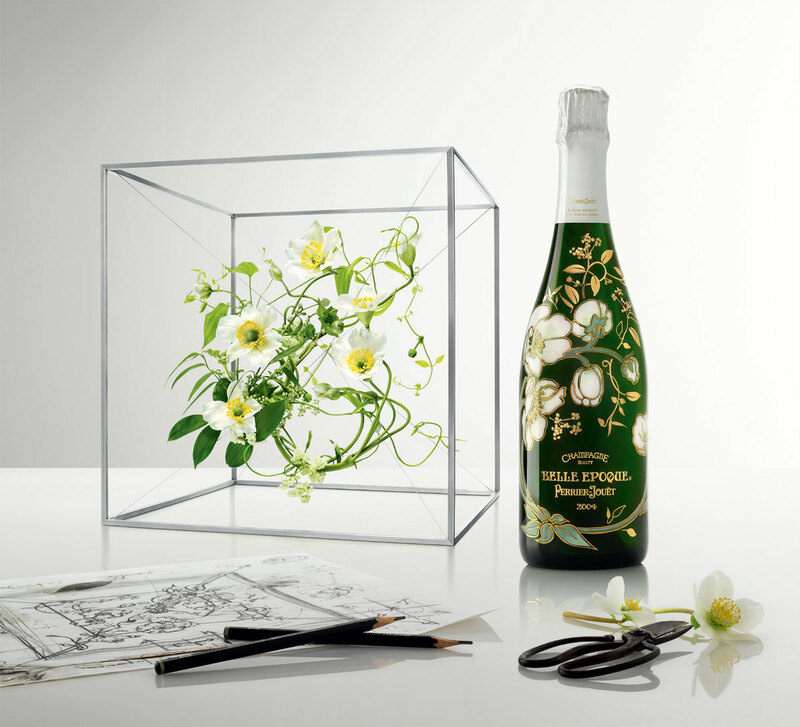 Perrier-Jouët Belle Epoque Florale Edition will be available only in very limited quantities worldwide from September onwards, in the most exclusive outlets in Perrier-Jouët main distribution markets at an average RSP of €300 ($365).